Psst … hey, friend, I have an idea. I know what to give that wonderful woman you love for an early Valentine present. This gift is one that will show her that you truly have her heart in mind. Why not surprise her with something red on Go Red for Women Day in February? 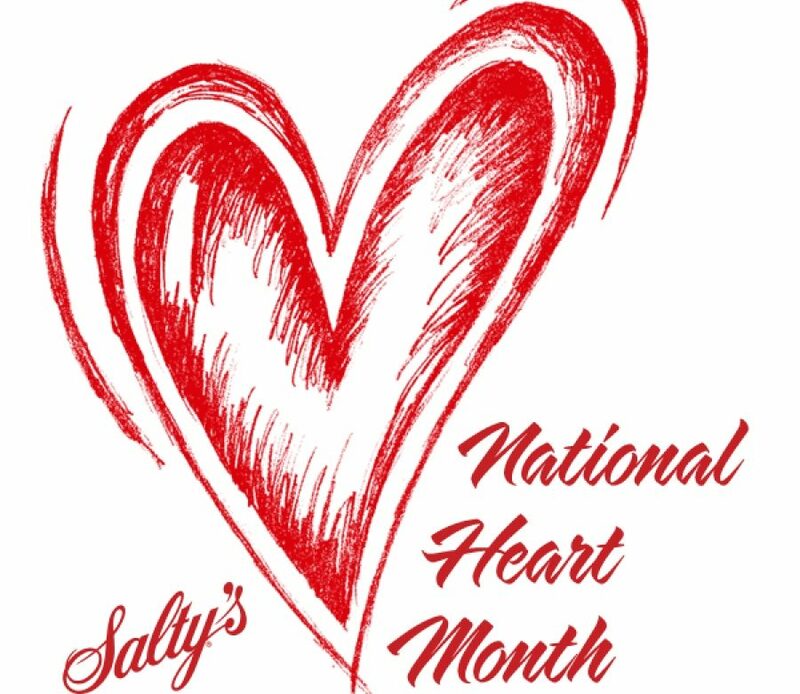 It’s National Heart Month and National Wear Red Day and it’s all about bringing awareness to women’s heart health. On that day all across the nation people will be seeing red and wearing red. This is the day to take good care of those hearts that we love. Why? Because here comes the red flag — the number one risk in a woman’s life is the danger of heart disease and stroke. Woah. Let me say that again, their number one risk. So whether she is your mother, daughter, sister, wife, girlfriend or coworker, let her know her heart is important to you. It’s time to remind her that taking care of her heart health should be a passionate priority. That of course begins with taking care of yourself with good doctor checkups, getting regular exercise and eating a delicious diet that includes anti-inflammatory foods. I’m sure it’s no coincidence that nature lovingly lavishes red gifts on us all the time. Red crab and red salmon with omega-3 fatty acids, red tomatoes with vitamin C and lycopene, red peppers with capsaicin, red beets with folate, red berries with anthocyanins, red cabbage with fiber, red pomegranates, red apples, dark chocolate wrapped in red foil (smile), the list goes on and on. Making sure to consume lots of red, and other deeply colorful food and beverages, is essential. If you are looking for the perfect red gift, a sumptuous bottle of heart friendly red wine always brings good cheer (see my blog “Is Good Wine Good Medicine?“). Speaking of good ideas, it is essential to refresh our knowledge on how to help in an emergency, if the need arises. Making ourselves aware of the first signs of a heart attack or stroke, and knowing how to react effectively and quickly, is a very important place to start. Please take a little time and explore the website GoRedForWomen.org for all kinds of fabulous information and how-to videos that might just teach you how to save a precious life. Of course February is always about red, and our hearts in love, but this year let’s make it especially about taking care of those hearts we love.